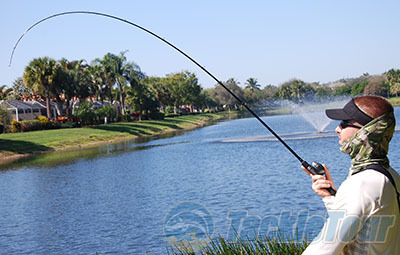 Introduction: Our coverage from the 2013 ICAST show teased you with the prospect of Japan-based MajorCraft bringing products to American shores. While it seemed the initial wait would be a short one, various setbacks prevented the company from achieving their goals early on. Fast forward to present day, and we can finally proclaim that the wait is over. MajorCraft America has officially launched on U.S. soil with domestic operations located in the Los Angeles area. There's no missing the eye-catching NANOACE logo. NANOACE rods are currently the lone rod offering for the United States. 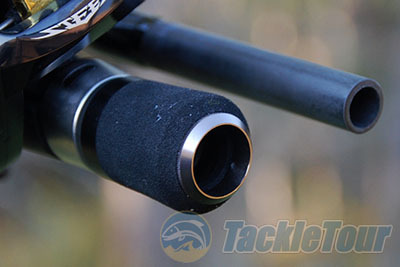 Offered in 16 casting and 8 spinning models, these are bass-specific rods tuned for a multitude of applications. We were offered a pair of matching NAC-WJ731M casting rods for testing, and I've been quietly fishing mine since October. Let's dissect this rod and see how it fares in today's highly-competitive rod market! The (surprising!) 2-piece design easily separates at the top of the foregrip. Quality/Construction: MajorCraft is a bit secretive on what exactly goes into the NANOACE blanks, but the construction is said to utilize a blend of �mid and high-crisp carbon.� As stated in our ICAST 2014 preview article, these rods feature a special pre-preg using Toray NANOALLOY. This is touted as being a technology that combines multiple polymers at the nano-metric scale for improved performance as well as durability. 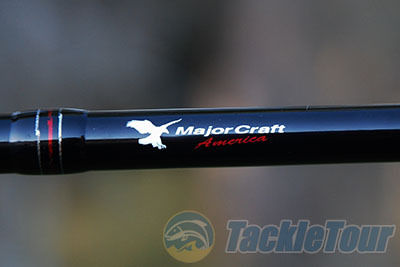 To create some distinction, U.S. products will carry MajorCraft America logos. I am very pleased with the build quality of my NANOACE. Yes, it's a very simple-looking rod, but it was at least put together with an admirable level of care. All wraps were completed to my satisfaction and the assemblers were not heavy-handed or sloppy with the epoxy work. Component-wise, most everything is clean and snug, but the meeting point of the reel seat and main grip could show just a hair tighter tolerances. The blank and guides sport straight alignment. The simplistic grips are sized nicely and I like that there's no reel seat threads exposed at all. 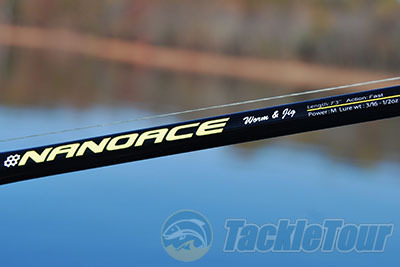 Performance: My NANOACE underwent a testing period that involved using several different reels, lines, and baits. 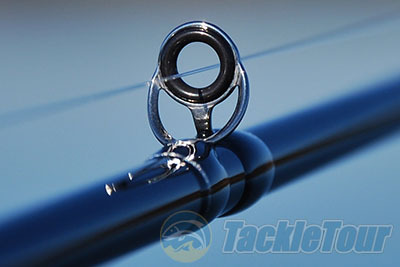 The rod was paired up with reels ranging from a 13 Fishing Concept C to my coveted TD-Ito 103M, all spooled with lines�both within and above specifications�that included 10,12, and 14-pound mono, as well as 20-pound braid. A plethora of baits were tied on that ranged from poppers to small football jigs. 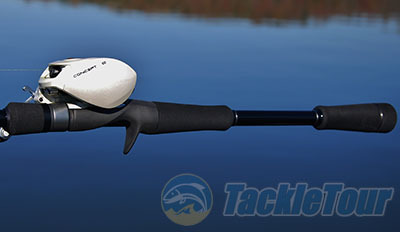 Casting: Tossing baits with this stick is pleasant due in part to its balance and lightweight feel. The action is more on the moderate-fast side which makes the rod excel at loading very easily and effectively flinging smaller offerings. While the blank isn't exceedingly crisp or precise, the action provides good accuracy and is plenty satisfying to use. This NANOACE matches up well for me when casting baits in the rated range. The first two guides up from the handle are double-foot. Sensitivity: The NAC-WJ731M exhibits nice sensitivity, especially considering its very affordable price point. The rod certainly won't be confused with a GLX, but the sensitivity is good and it doesn't feel �dead� in my hands. Pairing up the NANOACE with a reel full of braided line makes a solid little setup if you want to turn the sensitivity up even higher, but it's very acceptable with just mono.